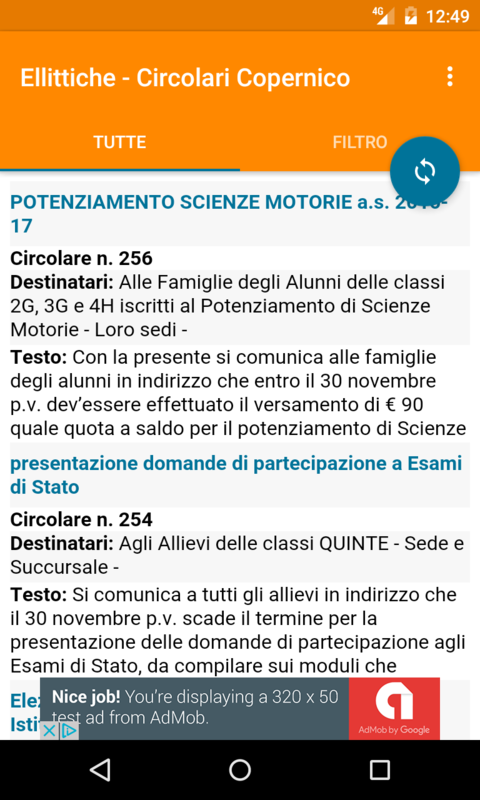 Since the introduction of the electronic register in my school (Liceo Copernico di Udine) two years ago, teachers don’t read circulars anymore, and every student has to read them on the school’s website; however, the website is uncomfortable, in fact it is not possible to receive a notification every time a new circular is published (when I developed the app there wasn’t the RSS feed yet). 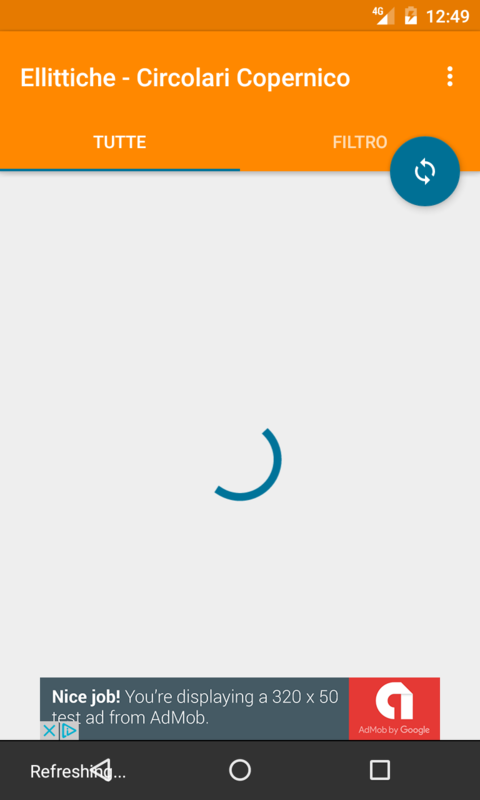 So, in a free weekend, I decided to write a simple app that visualizes the circulars more tidily and sends a notification every time a new circular is published. 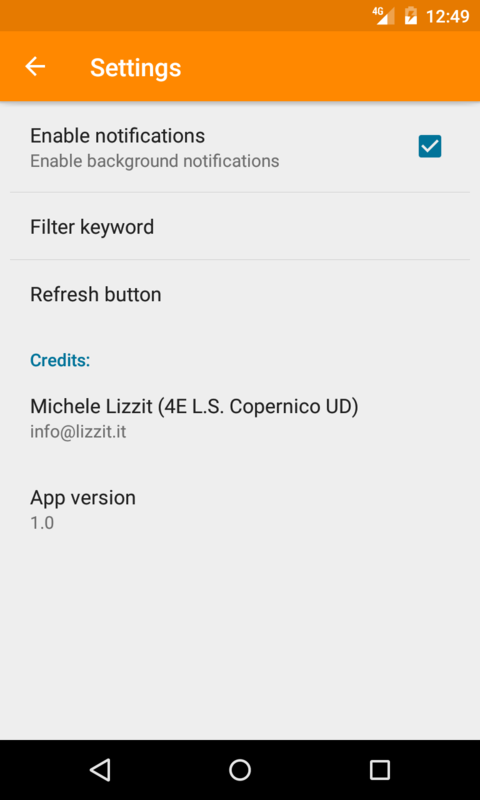 In addition, the app has a search feature that allows the user to filter the circulars based on keywords, and receive only the notifications of the ones related to a specific class.